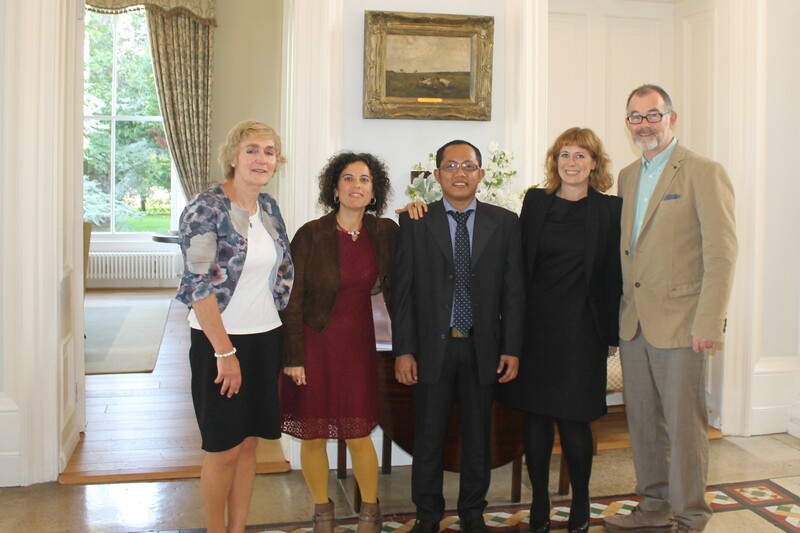 Congratulations to successful candidate Yanuar Dwi Prastyo (Bandar Lampung University, Indonesia) who today successfully defended his thesis entitled 'The Effects of Cooperative Learning on Student Teachers' Communicative Competence in Indonesia'. The picture here and below shows (left to right) myself - Dr Freda Mishan (co-supervisor, MLAL), Dr Marta Giralt (Internal examiner, MLAL) the successful candidate Yanuar Dwi Prastyo (Bandar Lampung University, Indonesia), Dr Elaine Vaughan (co-supervisor, MLAL), Professor Steve Mann (external examiner University of Warwick, UK). Prastyo was among the first cohort of the Structured PhD TESOL, launched in September 2013.